Joseph Martin Kraus, a German-born composer who found fame in, and thanks to, the Swedish court of King Gustav III, was born 260 years ago today. He was sent by Gustav on a grand tour of Europe, and for a few months kept a rather haphazard diary of his travels, meetings and concert visits, often providing detailed and opinionated critiques of the latter. 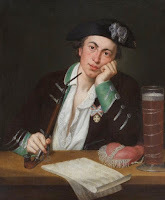 Kraus was born in the central German town of Miltenberg in Franconia on 20 June 1756, though the family moved to Buchen in Baden-Württemberg in 1761. He began to show musical talent at an early age, and was taught piano and violin. Though pressed to study law at the University of Mainz, he moved to University of Erfurt where he focused more on music. He was obliged to remain for a year at home while his father underwent prosecution for misuse of office, but during this period he wrote Tolon, a drama in three acts, and several musical works for the local church. In 1776 he returned to study, this time at the University of Göttingen, where he came into contact with members of the Romantic literary movement, Sturm und Drang. A fellow student at Göttingen persuaded Kraus, in 1778, to move to Stockholm where King Gustav III was well known as a patron of the arts. However, there were hard times for Kraus, and it took him three years before winning favour from the king, and being asked to write music for his opera libretto Proserpina. Following a successful premier, he was appointed vice-Kapellmeister of the Royal Swedish Opera and director of the Royal Academy of Music. Subsequently, Gustav paid for Kraus to go on a grand tour of Europe, one lasting over four years, and during which he met many leading musical figures of the day - not least Gluck, Salieri and Haydn. During his travels, Kraus composed many works, including symphonies sometimes later attributed to others, and his flute quintet in D Major. On his return to Sweden, in 1787, he was appointed as director of curriculum at the Royal Academy of Music, and the next year he succeeded as Kapellmeister. Although he seems to have favoured instrumental music, the demands of Gustav’s court were for operas, arias and the like. In 1792, he was present at a masked ball when Gustav was assassinated. His death left the arts that he had nurtured in distress. Kraus wrote Funeral Cantata and the Symphonie funèbre, which were played at the burial ceremony. Klaus died of TB a few months later. Further information is available at Wikipedia, Naxos, and Allmusic. 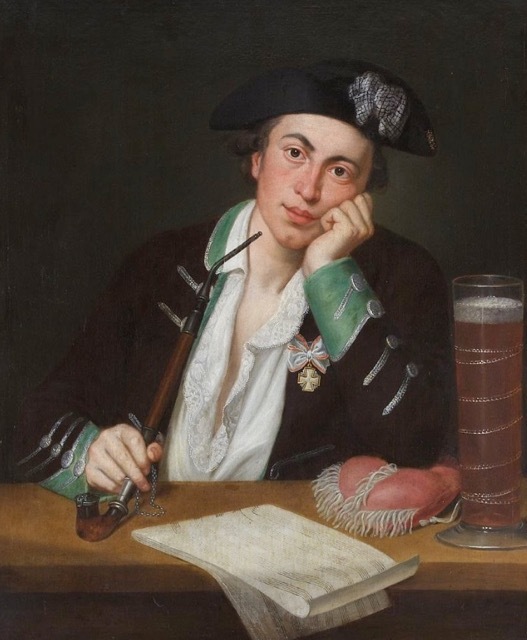 During the early months of his grand tour, from October 1782 into 1783, Kraus kept a rather haphazard diary - the contents alternate between painstaking detail and superficial description, and switch from imperfect Swedish to German here and there. The extant manuscript, held by Universitets-bibliotek in Uppsala, Sweden, consists of no more than 11 leaves written on both sides. According to Bertil van Boer, who wrote an essay on the diary for The Journal of Musicology in 1990, the main text ‘is a combination of travel/route description, drafts of letters, opinionated critiques of musical instruments, literary and musical works, and concerts, and descriptions of people he met during his journey.’ The essay, titled The Travel Diary of Joseph Martin Kraus, is available online at JSTOR with log-in. In introducing Kraus’s diary, van Boer refers to the growing tradition among young people to be sent on a Grand Tour as part of their education. Specifically, though, in the music world, he refers to the diaries of Charles Burney which not only give a detailed picture of music in the Europe during the middle part of the eighteenth century, but were used as a substantial foundation for his history of music - see The wonderful echo for more. He goes on to examine and analyse Kraus’s diary in some detail - calling it ‘a hodgepodge’, and noting, for example, that Kraus only mentions three of his own musical compositions. Van Boer provides a few quotes from the diary, translated into English, including the following. ‘The sixth was an academy for the benefit of a newly-established musical society; Die Israeliten in der Wilste composed by Max. Ulbikh was performed. The orchestra was strong but did not contain the promised list of 180 members, but rather only some 70-odd people. In general, the music contained much fire. The overture in D Minor had three movements; the first expressed the uproar of the people quite well. The second, in A Major, and the last, in D Major, didn’t belong at all. He [Ulbrich] proceeds into the first chorus with an idea [taken) from the first movement. [Carl Philipp Emanuel] Bach has understood the same meaning in this chorus better, I believe. The role of the First Israelite was sung by Fraulein Theresia Tauber. The aria “Will er” was too modern, the performance of the singer very poor, and her inability was even more apparent in the cadenza in the last line (“Ach, wie seyd ihr so begluckt [Begluckt seid ihr, ach]”). The Aaron was Hoffman, a wretched bass. His aria was also too modern, and in both of these arias the main problem was that the accompaniment was too strong. The same can be said for the third aria sung by Signorina Cavalieri; it was too soloistic, and the concertante complement to the voice in the English horn was not terribly successful in terms of expression. The chorus of Israelites (“Du hist der Ursprung,” etc. ), however, was far above the former and Bach’s entire work, insofar as the arias and choruses contain fire. The movement is in C Minor and a fugue. With a very well-done contrast. Father Moses interrupt the chorus with his remarks, and the answer of the people to Moses’s question - Hast du die Werke voll Wunder schon vergessen, die fur dich dein Gott getan?” - cannot bought be thought more appropriate: “Gott schlummerte” (Ungrateful people! So do you!). The composer has altered the words according to the circumstances [in general]; in this chorus as well, but with sinfully exposed gaps. The aria of Moses immediately following, however, is too trivial. The duet of both Israelites could, in another meter, be appropriate for any [secular] concert. I should mention in this regard that both singers competed quite prettily with each other as to who could be the most raging. The recitative of Moses mixed with the chorus that follows is pretty but [contains] nothing new. Moreover, the first movement of Moses’s prayer, in which the guilt and the nature of the piece certainly demands heightened tension, is fiat. The fully-worked-out chorus in C Major is well-conceived, and the [word]-painting of the women slaves is shown altogether enchantingly. This concludes the first act. The same comments are valid for the second act, though the music is much less worthy of a church. The theme of the first recitative is too childish for the subject and characters; the chorus which begins with a solo by M[oses] ditto, the aria of the first Israelite in G Major ditto, and the unusually trivial aria of Moses with an obbligato violoncello ditto. In the second half (“Dies ist der Helden”) the accompaniment is so strong that one cannot hear the voices. In the recitative which precedes the aria, the composer paints [the words] “Doch einst vor meinem Blicken, seh’ ich die Zukunft aufgehellt” with a rising crescendo in the timpani, adding one wind instrument after another on top. The recitative ends in the same fashion but with less effect. The following aria for Signorina Cavaliert is [set] for obbligato oboe, flute, bassoon, horns and a blend of onions and garlic. The last chorus is mediocre. In general, the first half [of oratorio] far outshines the second. The fault [for this] lies partially with the text. In the last part, the composer has thoughts here and there that were heard in the first. The execution was quite good - but not exact in piano [passages]. I did not observe many of the lesser crescendos [i.e. dynamics], and each of the desks of violins had its own bowings. The bass line was also not clear owing to the softness of the contrabasses and the lack of violoncellos. The composer has also overworked the [vocal] basses too much.